Traces of a Stream: IT'S BACK! Tonight marks the season opener of American Idol and I will be there front and center. I have been a fan of the show from the premiere in the summer of 2002. I don’t watch a lot of reality television, in fact I only have two shows besides Idol that I refuse to miss (“Dancing with the Stars” and “Big Brother”). One of the cities the Idol train stopped in was one new home town of Dallas, Texas. Last summer on my way to work a traffic alert came over the radio informing that traffic was backed up on the freeway because of the auditions. Now I don’t know what talent was found in our fair city and the surrounding areas, but the first winner of Idol was from a little city about thirty miles outside of Dallas called Burleson. Everyone knows the judges on American Idol, even those who don’t watch the show. There is the name dropping record producer Randy Jackson (I worked with Whitney and Mariah). The one hit wonder Paula Abdul (well actually it was an album) who always seems a little high to me (I’m just saying). And finally “The Simon”, he’s rude, crass, shallow, and insulting. I just love to hate them all. For the next two weeks the show will be airing auditions, which are of course hilarious. Remember William Hung? I can’t wait to see who shows up this year. The thing is the show’s producers tend to show us more of the jokesters and wannabes, than the truly talented singers. I was lucky enough to catch the auditions of Tamara Gray, Kelly Clarkson, Ruben Stoddard, Justin Guarini, Fantasia, and Carrie Underwood. Well it’s time for me to pop some popcorn and settle in my favorite seat in front of the tube and check out what promises to be another entertaining season. Is anybody with me? 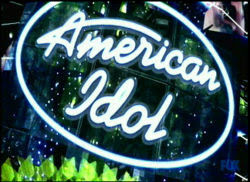 Check out this Mad TV spoof of American Idol. I only saw the snippet of the young black girl singing 'I Am Telling You'. I began to cry,it was so sad to watch her face as she realized she wasn't going to make it. I think it's a crime and a shame the way family, friends or whoever don't pull these people to the side before they make a fool of themselves on national television. forcoloredgirlswho..., Painful indeed. Some fools will do anything to get their fifteen minutes and I don't really feel bad for them. But I felt for the sixteen year old because I felt she was being genuine and she just wasn't very good. At least Simon didn't say anything derogatory to further injure her. Ooh yay! Someone else is going to be blogging along with me about American Idol! Also, I'm so glad to see that you also watch "Big Brother" - I thought I was the only one! I'm so glad a new season is starting next month. I guess it's perfect television for a writer's strike. thrivingat30, Thanks for the heads up. "Big Brother" usually doesn't start until July. I got something to look forward to. I adore American Idol, but I just can't do the audition shows anymore. Maybe I'm getting old, don't know! I'll start watching around Hollywood week! I am anxious to see the changes they've been talking about..like playing instruments to accompany yourself. That's a cool idea!